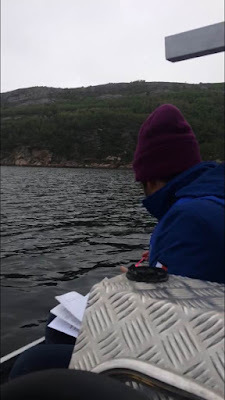 After our first day of getting briefed on how we are going to be collecting water samples from the bodies of water around the field station and analyzing them, we set out to gather the data. After the first couple of days at the field station and exploring the bay around it, I am happy to say that this place might be my favorite on this trip. Between the outstanding scenery, and the amazing food that the chef makes, it’s tough not to love this place. After our first day of getting briefed on how we are going to be collecting water samples from the bodies of water around the field station and analyzing them, we set out to gather the data. 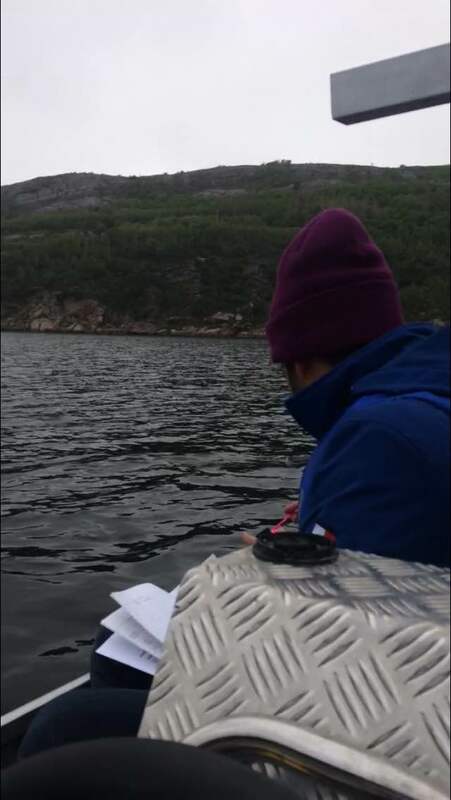 In order to collect the data, we split up into smaller groups and went out onto these lakes to gather data using a computer known as the HydroLab. This machine was able to measure depth, pH, specific conductivity, and a number of other values that were relevant in determining the water quality of the water. 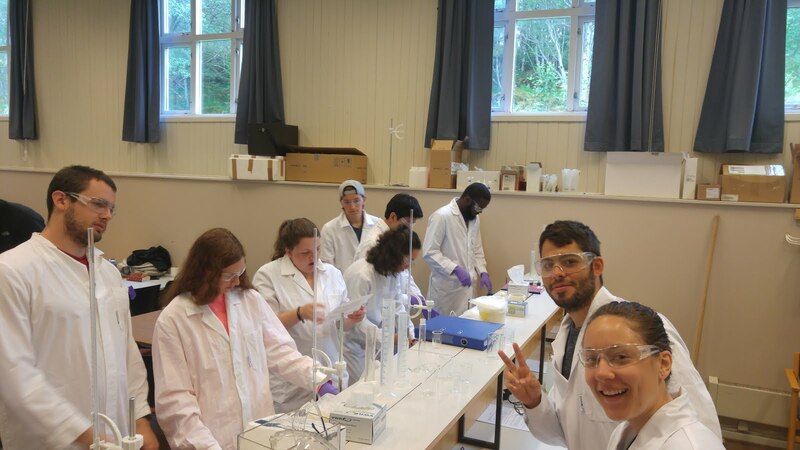 Once we had gathered sufficient data, we took a water sample from the lake to bring back to the lab. All in a day’s work! The next day, we analyzed all of the data for the week’s experiments. We measured the amounts of dissolved solids in the water samples, we were able to determine the alkalinity and pH levels of the water samples using different chemicals in titration experiments, and we were able to determine the hardness of the water samples as well. Once we had calculated the values, we all shared them so that we would be able to write about them in the lab report for the week. As our time at the field station was coming to an end, our group had gotten in the habit of having cookouts every night since the weather was incredible. We had hot dogs and s’mores and, shared stories about our adventures. We head to the Gerainger Fjord tomorrow, and though it’s going to be amazing, I know that I’ll miss the field station. Something about being in a secluded corner on another side of the world, and knowing there are people to get together with so that we can all have a great time, is definitely memorable.